There’s a massive database called Voyages, containing an exhaustive catalog of every slave ship which moved across the atlantic, including scans of manifests and ships arrested by the British after slavery was outlawed. At the head of this massive “data-set” are two white English dudes, one of whom is an economic historian. But what can any of it tell us, really? How can it hope to answer the question of what made black bodies slaveable? 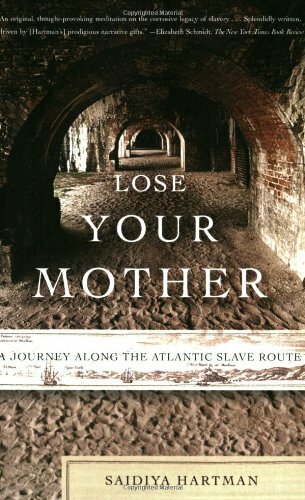 The numbers give us a view from the position of the slavers; reify the monstrous ideology that turns humans into commodities, stripping them of their humanity history so that they are not people but merely “Negros.” Saidiya Hartman’s LOSE YOUR MOTHER begins from the recognition that a true connection with this past has been annihilated, as was the goal of the slave trade and the capitalist accumulation it served.